Classic two strap style with Nubuck Birko Flor leather uppers, cork latex footbed, adjustable straps and shock absorbing EVA sole. Your toes and heel should not touch the rim of your sandals while standing in them. The extra room is needed to perform the natural rolling motion of the foot without restrictions - just as if you were barefoot. Birkenstocks are designed to be roomy. When you first try your sandals they might feel big. Most people are fine with a regular fitting, but if your foot moves side to side when you walk and adjusting the strap does not help, a narrow fitting may be more suitable. This is a regular fit. There is more sizing information, including a conversion chart, here. 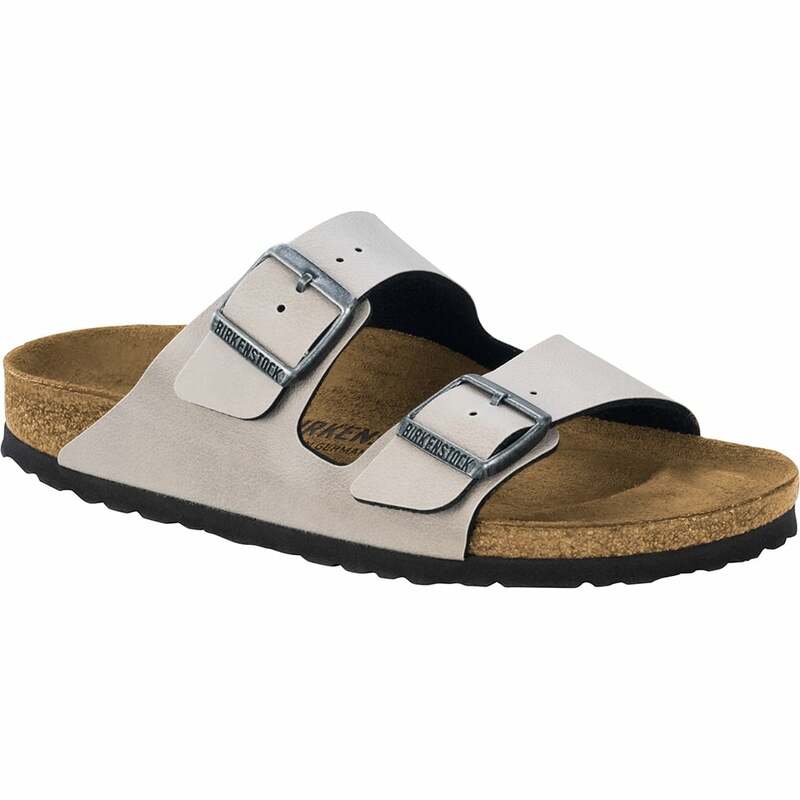 The leather used for Birkenstock® uppers is thick but very supple. Natural leather has a unique surface structure, which varies in its colour. No artificial dyes are used to cover up these differences but leave them the way nature intended. This way the leather retains its pores and its ability to breathe. For cleaning smooth Leather, just use a soft dry cloth. Birkenstocks with cork footbeds come with a light coating of cork sealant on the edges, which prevents them from drying out. If you're a fan of the Birkenstock Sandals you're sure to want a browse at the Birkenstock Clogs too.